Thomas Cook is considering selling off its airline to give it greater 'financial flexibility' to invest in its own-brand hotels and the digitalisation of its sales channels. The announcement came as it reported an increase in losses for the three months to the end of December from £14 million to £60 million. Meanwhile revenue was largely unchanged, rising just 1% to £1.66 billion. Chief executive Peter Fankhauser said a review of the airline was in early stages and would look at 'all options to enhance value to shareholders and intensify our strategic focus'. Thomas Cook currently operates a fleet of 103 aircraft, a quarter serving long-haul destinations. Referring to trading in the first quarter, Fankhauser said: "As expected, the knock-on effect from the prolonged summer heatwave and high prices in the Canaries have impacted customer demand for winter sun. "Where summer 2018 bookings started very strongly, bookings for summer 2019 reflect some consumer uncertainty, particularly in the UK, and our decision to reduce capacity which will both mitigate risk in our tour operator business and help our airline to consolidate the strong growth achieved last year." Thomas Cook said strong customer demand for Turkey and North African destinations had offset weaker demand for Spain. Highly competitive market conditions in the UK had hit gross margins, it added. The seasonal loss was led by its tour operation, where a weaker performance in the UK and Northern Europe was partially offset by a good performance in Continental Europe. It summer 2019 programme is 30% sold, slightly ahead of last year. Tour operator bookings are down 12%, helping to support pricing, which is up in all key segments, and 4% higher overall. 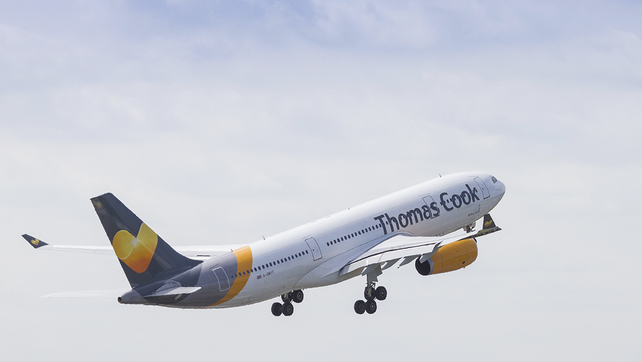 Group airline bookings are below last year, as Thomas Cook has 'selectively' reduced capacity in short and medium-haul destinations by taking in less wet-lease capacity. This has been partially offset by good growth in demand to long-haul destinations. Average airline selling prices are up 6%, with higher yields in both short and medium-haul and long-haul.